Goddess Gayatri is also called "Veda-Mata" or the Mother of the Vedas — Rig, Yajur, Saam and Atharva — because it is the very basis of the Vedas. It is the basis, the reality behind the experienced and the cognized universe. The Gayatri mantra is composed of a metre consisting of 24 syllables — generally arranged in a triplet of eight syllables each. Therefore, this particular meter (tripadhi) is also known as the Gayatri Meter or "Gayatri Chhanda." 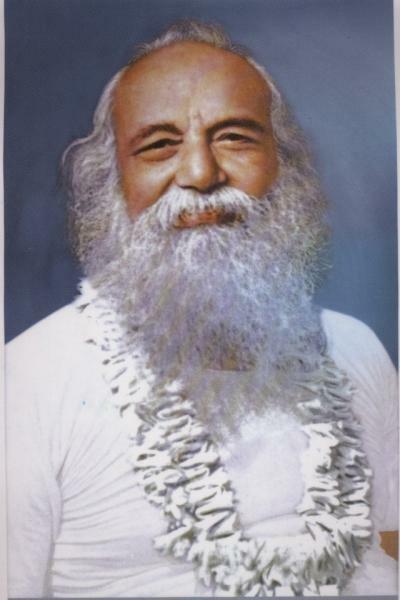 There are many schools of thought on the methods of chanting. A Mantra chanted correctly or incorrectly, knowingly or unknowingly, carefully or carelessly, is sure to bear the desired result for physical and mental well being. It is also believed by many that the glory of Mantra chanting cannot be established through reasoning and intellect. It can be experienced or realized only through devotion, faith and constant repetition of the Mantra. In my opinion the healing through chanting can be expedited if the mantra is received from a guru. A guru adds a divine potency to the mantra. It becomes more effective and thus helps the chanter in his/her healing faster. Oon ‘n’ has got a nasal sound. Just like the Sun annihilates darkness, so does the Gayatri Mantra destroy ignorance. The Gayatri Mantra invokes the power and radiance of the Sun to energize all earthly life, to destroy our sins and to reveal the Supreme Self to us. Krishna in the Bhagvad Geeta says: " Amongst the Mantras, I am the Gayatri"
In a loose translation that cannot possibly do justice to the original it implores: OM, O Lord! You are the all pervading Source of Light, Sustainer, Protector and Bestower of Happiness, Kindle, Enlighten and inspire our Intelligence to possess Eternal Qualities. The Gayatri Mantra is the essence of the three Vedas. It is the Vedas simplified. The more one contemplates and meditates upon the Gayatri, the more complexities are revealed to one. Protector of the earth, the material sheath, The Life breath of the Universe. From the feet to the navel center. One of the meanings is the sky. The Lord who pervades and eliminates all miseries. From the navel to the throat center. One of the meanings is the heavens. 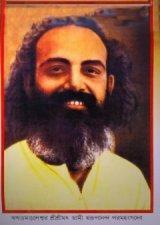 He is all Bliss and blesses His devotees with happiness. From above the throat center to the thousand petaled lotus. The SUN, Creator, Preserver and Self Luminous, the central mantra of the Solar Science. Most fit to be worshipped. Most choice worthy. The burning splendor of the Sun that dispels ignorance, and therefore sorrows and miseries. The Gayatri Mantra was traditionally given from the Guru Master to the disciple, while standing mid-stream. Look at the darkness. Visualize the sun rising. Offer water to the sun. The Devas spent a a few cycles of Creation, probably a quadrillion human years pondering upon the 'maha vyahritis' ie 'Utterances of the Lord' but became impatient again and urged the Lord to make it simpler yet. So He Said "All right I'll make it simpler"
J.B.S. 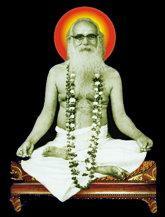 Haldana wrote: "The Gayatri Mantra should be carved on the doors of every laboratory of the world". My friend Rohini Gupta informs me that there is a longer version of the Gayatri Mantra which is only used for breathing exercises: Pranayam. It is not a mantra for recitation. the version for recitation is the short version. Many foreign books do not know that the longer version is not used for chanting so they only give that version. It is not common in India since it is only used with breathing exercises. It does not predate the short version. all versions appear in a five thousand year old text the Rig Veda. they are just used for different purposes. if you plan to do the Gayatri do only the short version. The Gayatri mantra was 'discovered' by Vishwamitra and it first appears in the third mandala of the Rig Veda. The long Gayatri Mantra is used for pranayaam, breathing exercises. (the short form is used for chanting). The Gayatri is the gem of the BodhiSacha. 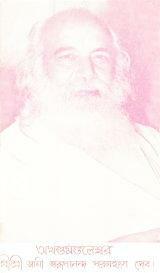 It is a jewel among the treasures that our Guru and the Sacha lineage have handed down from generation to generation. To be initiated into this sacred mantra is a great privilege. The sound or even the thought of the Gayatri's verse sets grace in action. Those who are called by her are initiated into her power by the Master. The Gayatri is a perfectly balanced mantra, yin and yang. The body or text of the Gayatri Mantra is feminine, and her message or invocation is masculine. Gayatri is the mother of the Vedas and this means the mother of all knowledge. She appeals to the masculine Savitur, which is said to be the radiance of perception and intelligence. This radiance, which is everywhere and in every experience, is likened to the radiance of our solar sun. In other words, all of the knowledge of the intricate ways of existence is contained within the syllables of the mantra and so too is the means and vehicle with which to go beyond knowledge as well. Gayatri Mantra's vibrational influence on the physical body. Silently thinking or speaking or chanting the Gayatri Mantra influences the **physical body, clears the emotional body, leads one to the inner heart. The Gayatri stimulates and facilitates insightfulness and awakening to the Truth within all. Our ***energy centers, levels and rhythms are activated by the measure of breaths that are drawn in through the nostrils and released during recitation of the Gayatri Mantra, (even during silent repetition). This balances electromagnetic rhythm and energy currents in the body with prana. Prana is an undetectable life force energy, similar to orgone. During recitation, all elements of the mantra are in use; even the breath is a precision instrument. It all works together, like an orchestra and the Conductor. The breath, voice, meditation and intention efficiently and effortlessly function (like the sun shines). * The Vedas are ancient (from beginning-less time) scriptures that reveal the secrets of life and the way to live it in accord with the entire universe. ** Not only the well-known chakra system but all energy and rejuvenating centers are activated by the sound of the Gayatri. ***The mantra works in a multitude of ways, which align the energies, magnetic currents, biochemistry and brainwave patterns on a very subtle level. Immediately or in time, one will notice the wonderful effect. Today, Babamani's followers 101 visitors (120 hits) on this page!